If your campaign has been underway for some time and you know how much each conversion costs, it might be advisable to increase your bid and get a higher position for your ad in order to raise the number of clicks through your site and get more sales. However, keep in mind that target profitability must remain constant. Calculate the extra sales to check the extra cost and adjust the bid accordingly to maintain the profitability constant. The same ad appearing over and over again can cause viewers to ignore it beyond a while. In the world of advertising, packaging is very important, and how you display your ad affects how many people will look at it. Experiment with ad sizes and placement and reinvent your ads. A viewer who knows your ad appears as a vertical banner on the right side of the page will very likely not look at it on the third visit to the site. Change the size and make it appear as a skyscraper and the next time the visitor goes to the site, he will look at it. Aside from the familiarity, size and placement also make a difference to the total viewership and clicks on your ads. 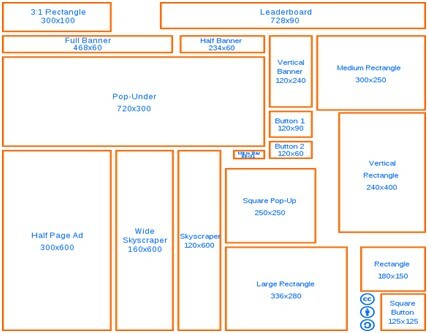 Watch the patterns and know which size of ad placed where works most for you. Continue with it for a while and then repackage it and put it elsewhere on the page. The whole purpose of ad campaigns is to market your product to a larger target audience. Making small changes in your budget to tweak your ad settings is perhaps the best way to increase the number of clicks on your ads. Sure, changing the ad campaign would be a great option too, but whether you do it yourself or outsource it, the expenditure you incur in doing it will always be more than making such small changes in your existing ad campaign. But most importantly, give these new changes some time to catch on.